Mark A. Rayner is an award-winning writer of satirical and speculative fiction. Mark and I first met a few years ago at Western University Canada where we both teach. 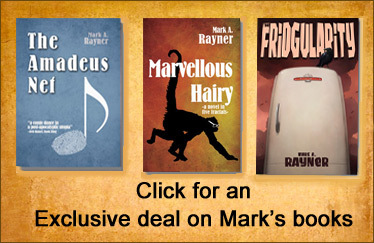 Mark has written 3 novels, several plays and 2 collections of short stories. 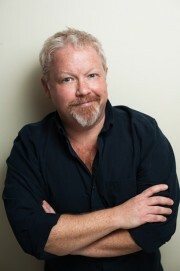 His most recent novel, “The Fridgularity” won the 2012 IndieReader Discovery Award for Best Humor. We discuss how Mark’s experiences as a journalist made him realize he prefers writing fiction to daily reporting. In the past Mark struggled with his weight and he candidly discuss confronting such a personal issue in his writing. Mark also shares his experiences with publishers and self-publishing. Check out episodes that also mention Authors, Comedy, Western University.